Firewise addresses the risk of homes in the wildland/urban interface to wildland fire. As more homes are built in the woods and fields of Minnesota, the existing firefighting resources are less able to protect everyone's property while trying to control a wildfire. Homes close to evergreens and the tall grasses of prairies or marshes are most at risk. 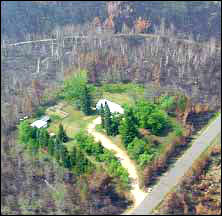 Making your home able to survive an approaching wildfire is the goal of the Firewise program. See firsthand how being firewise saved a home. Minnesota has adopted the national Firewise program. From this page you will find links to some of the national Firewise sites and all of the Minnesota-related Firewise sites, plus general wildfire information.